South African Radio Amateurs meeting 3Y0Z. They 3Y0Z DX Pedition to Bouvet Island has been ABORTED. Ship heading back to Chile. Bad weather and some problems. 3Y0Z. International Team will be active from Bouvet Island, IOTA AN - 002, in 2018 as 3Y0Z. Planned dates 20 January - 28 February 2018 (will be determined by vessel shedule). They will operate on 160 - 10m and also 6 and 2m EME. Team - EY8MM, HA5AO, JR4OZR, K0IR, K4UEE, K9CT, LA6VM, LA9DL, N4GRN, N6HC, N9TK, NM1Y, PA5M, VA7DX, W7IV, W0GJ, W6IZT, W8HC, WB9Z, SM5AQD. QSL manager for 3Y0Z DX Pedition N2OO. Logos and Graphics - Dani YB2TJV. Server-Logging Software - Dean N7XG. EME Pilot - Chris, PA2CHR. On the way to Bouvet Island team will be active as 3G9A/MM. 3Y0Z Bouvet Information for Radio Amateurs. DXCC Country - Bouvet Island. WAZ Zone - CQ 38. As you most likely know a good part of the upcoming DXpedition will be spend on 6m and 2m EME. On our EME page ( http://www.bouvetdx.org/eme-bouvet-island/ ) you can find more details on our planned set-ups. Due to the longer journey starting from South America and the high risks involved of getting to and from the island in a hostile environment. Such a DXpedition has to be well equipped to sustain at least 2-3 weeks on the remote inhabitant island. All this is not for free as you would understand. Therefore the team is looking for financial support from the HAM (and in particular) the EME community. Please find attached a letter from which we hope you will publish on the DXnews webpage and will share among radio colleagues and all who are interested. Will you support us making your ATNO possible? Many thanks for your kind assistance and let's hope we meet via the moon! Bouvet Island DX Peditioin is active on Facebook at this url: https://www.facebook.com/groups/639362206232014/. You can also follow them on Twitter at: @Bouvet_3Y0Z. Photos, information and news items are regularly posted. Follow them on Twitter and like them on Facebook. 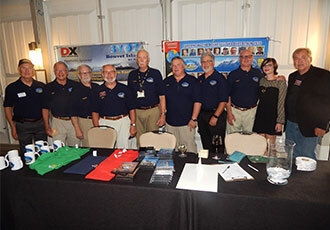 10 Bouvet DXpedition team members attended Dayton. Shown left to right: K9CT, K0IR, N4GRN, W0GJ, K4UEE, N9TK, W8HC, W6IZT and daughter KJ4PQV, and WB9Z. Not shown is EY8MM. Photo courtesy of K8CX. Center: Team meeting. Clockwise from the bottom — K9CT, EY8MM, N9TK, K0IR, Collin (grandson of N4GRN), K4UEE, W6IZT, KF4PQV, and W0GJ. Taking the photo and not shown is W8HC. 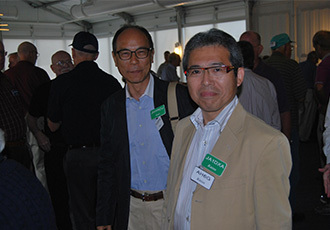 Right: Two visiting Japanese friends and supporters, JH1ROJ and JA1DXA. Our low band specialist, Nodir – EY8MM, gave an outstanding presentation at the Low Band Dinner in Dayton. He discussed the evolution of our low band antennas and operating strategies and how they have led to an ever increasing number of low band QSO’s on our DXpeditions. May 1, 2017: We have added a propagation page to our website. It displays a series of videos showing propagation predictions during our anticipated stay on Bouvet Island — January-February of 2018. Find the page in our header menu and click on one of the videos to display time, frequency, and strength of signals anticipated at your QTH. The predictions are based on the average sunspot numbers predicted by the National Oceanic and Atmospheric Administration (NOAA) for January of 2018. 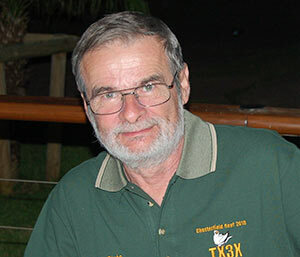 Franz, DJ9ZB, will be unable to join us in the Bouvet DXpedition. We enjoyed working with Franz on Malpelo and regret loosing him. Many of you know Pista, HA5AO, who will now be joining our team. Pista is well know for his previous DXpeditions, innovative talents, humanitarian projects, problem solving abilities, and operating skills. It is a pleasure to have him with us on the Bouvet Island DXpedition. 3Y0Z. DX Engineering antenna mast. 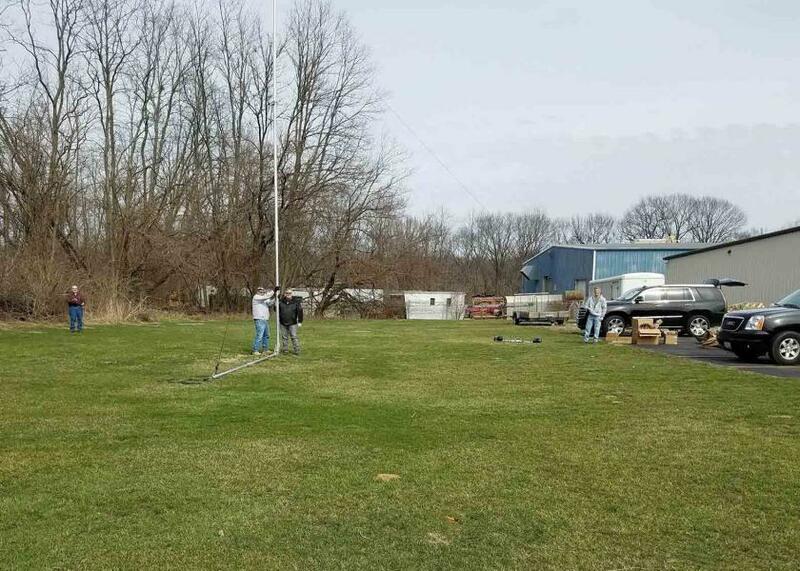 March 9, 2017: K9CT, K9NU, N9TK, W0GJ, and WB9Z met at K9CT’s QTH to assemble, erect, and test the 3Y0Z antenna masts manufactured for us by DX Engineering. The rugged construction and falling derrick system will allow for quick deployment and mechanical stability in the hostile weather of Bouvet Island. The 3Y0Z EME home page has been updated, showing the configurations of the EME stations from Bouvet as well a link to the daily moon data calculations during this time. They planning to be QRV on both 6 and 2m EME. 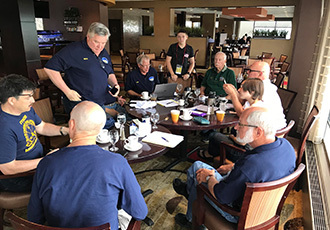 Five of the 3Y0Z operators (K0IR, N9TK, W8HC, W0GJ, & WB9Z) and Chief Pilot, NV9L, met with Tim Duffy, K3LR, and 11 members of his DX Engineering staff. The chief topic of discussion was development of masts and antenna support hardware able to with- stand the winds and weather of Bouvet. The HF antennas and EME arrays need to be at a height where they can be effective and yet able to withstand the harsh conditions of Bouvet. Working drawings were developed and the engineers at DX Engineering are now developing prototypes for testing. The group also considered how products developed for Bouvet might also serve unique needs of other radio amateurs. A DXpedition to Bouvet is not to be taken lightly. Bouvet is a serious and dangerous place that demands attention to safety, serious planning, physical and mental endurance, time to allow for storms and rough seas and a team with the right balance of size, experience, talent, emotional stability and sense of purpose. We feel we have met these criteria, but when we arrive at Bouvet, we also need to attend to our obligations to you, our financial supporters and DX audience. How we meet those obligations and expectations will define us as a team. It is our belief that, given the rarity of this entity, we must pull out all the stops. We must utilize maximum legal power, the best antennas, world class transceivers, propagation studies, the best location on the island, a safe vessel and crew, highly qualified helicopter pilots and the complimentary resources of our team. We will need near real-time information flowing to us through our extensive pilot system, so that we can maximize our primary purpose — providing QSOs. We have a conscience. We will not do this just for the sake of doing it and end up using a compromised location, less than 24/7 coverage of all open bands, limited power, inefficient antennas and insufficient time at the island. We want to do this right, and give everyone the best possible chance of making the QSOs they desire, be they on 160, the WARC bands, SSB, CW, RTTY or 6 and 2 meter EME. Rest assured that we will do our very best for you! No shortcuts or compromises! After extensive examination, we have found a suitable landing zone on Bouvet Island and have identified what appears to be the best operating location in the area. Our proposed site is at 540 24â€™ 23â€ South and 30 24â€™ 39â€ East at approximately 600 ft. ASL. This is on the Slakhallet Glacier on the northeast quadrant of Bouvet. It is relatively flat with areas of maximum slope not exceeding 8 degrees. This is well below slope levels that are prone to avalanches. We have less information on the presence of crevasses, but do not detect any on the highest resolution images that we have. 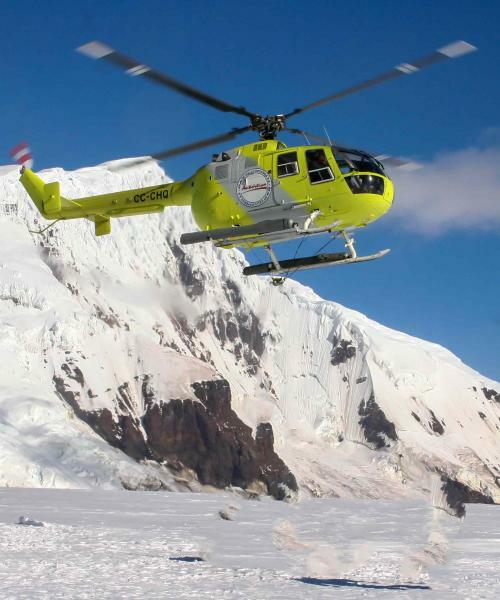 Of course, an on-site inspection upon our initial helicopter landing will determine our actual operating location. We have researched and selected our Antarctic shelters. These four shelters will house our stations, our sleeping quarters, and our eating and meeting facility (the MEG tent). These were selected to survive the high winds, precipitation, and temperatures expected on Bouvet. We will heat our operating shelter and the MEG tent. Our sleeping shelters will not be heated for safety reasons. The ten HF beams that served us so well on Amsterdam Island (FT5ZM) will accompany us to Bouvet. We intend to deploy them on a line along 2400 to 600. This will keep the antennas from beaming into each other when aimed at Europe, Japan, and North America. Our verticals for 160, 80, 60, 40, and 30 meters will be placed to minimize interaction. Images of our antenna plans, shelter layouts, and shelter interiors are on our website. The Japanese support team has reorganized and will be led by Hiro, JA4DND. Joe, JJ3PRT, will be our new pilot for Japan. JA4BUA, Kuwa, will be in charge of web and IT duties, and JK1KSB, Oku, will do our public relations. In addition, weâ€™ve added a VK-ZL-Oceania pilot, VK6VZ. Our on-line store has opened! You can now shop at CafÃ© Press for 3Y0Z souvenirs --- mugs, hats, cups, T-shirts, etc. You can purchase fun and usable products and at the same timeâ€¦support the 3Y0Z team. Our Facebook page, 3Y0Z-Bouvet Island DXpedition, now has over 1500 followers. Stop by for photos, articles, updates, and meeting fellow DXers. possibly the most expensive DXpedition ever. We ask for your financial support. Please click on our â€œDonateâ€ buttons on our website and help us make this happen. The Bouvet Island DXpedition-2018 Team wishes you and your families a wonderful Holiday season and a New Year filled with DX! We are pleased to announce that our website is now active. Now, you can see more about our plans to activate the #2 DXCC "most wanted" entity. You will also meet the operating TEAM. You will recognize most, if not all the call signs as these operators have given out millions of DXpedition QSOs over the years. We plan to be QRV on Bouvet on all available bands using the common modes with the very best antennas, radios, and amplifiers. The duration of our visit to "the most remote island on Earth" may be as long as three weeks, weather permitting of course. As with our many previous DXpeditions, we expect to make tens of thousands of QSOs. That is our #1 goal, consistent with the safety of the operating team. Now that the website is up, we are officially beginning our fund-raising program. As with our other DXpeditions, the operating team is committed to provide one half (50%) of the DXpedition costs. We are asking DX foundations, DX clubs, individual DXers and equipment vendors to provide the remainder. We believe this arrangement is fair and equitable. As always, you have the option of using PayPal, a credit card or a personal/club check. We appreciate you becoming our partner in very expensive under taking. 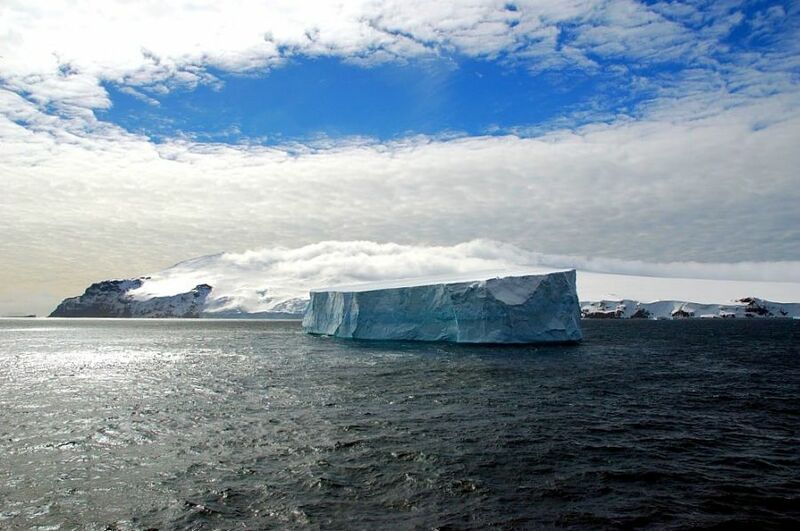 Bouvet Island. 3Y0Z DX Pedition Logo. Bouvet Island. Author - Maurits Heech. 3Y0Z. Where is Bouvet Island located. Map. Safe in port. Hurray! Thanks for best effort. Will be looking for return try. Would be nice to work Bouvet Is again. Good luck and safe journey. 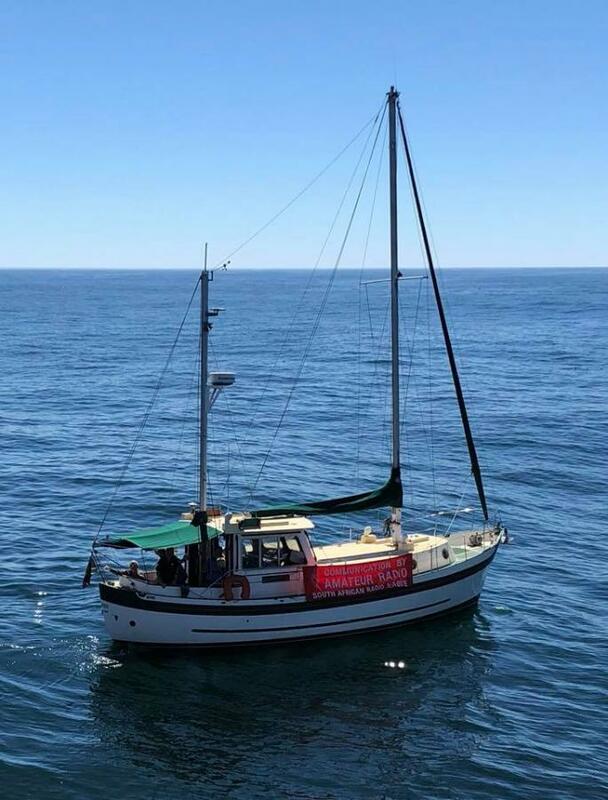 You can now follow the Bouvet DXpedition on Twitter: @Bouvet_3Y0Z The team Facebook page is at: https://www.facebook.com/groups/639362206232014/ Follow them on Twitter, Like them on Facebook. Good News and thanks to the Team. This a tremendous undertaking, and I am sure that may of us are looking for the activation. But we must remember that your safety to this remote and delesolt place is more than that of a qsl card. Thank you for your efforts and I am sure you will do well!